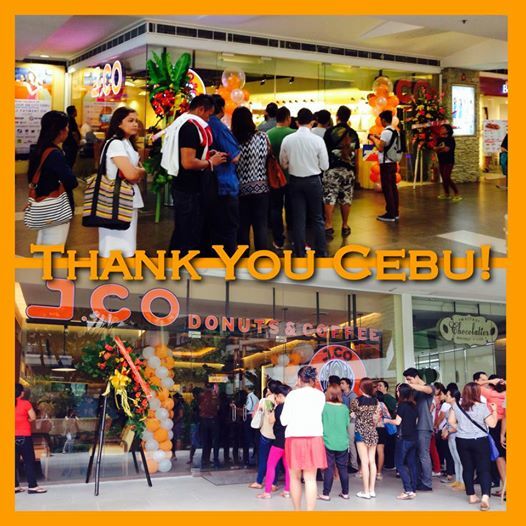 J. Co Donuts and Coffee simultaneously opened its doors at SM and Ayala branches to Cebuanos on September 2, 2014. Costumers were camping out early Tuesday because J.Co is giving away their donuts for free to the first 50 customers in each store while the first 3 customers will be treated with a one year supply of J. Co. However, this is not the BIG NEWS. PEOPLE ARE IN PANIC MODE ON WHAT TO BRING FROM MANILA AS PASALUBONG FOR THEIR CEBUANO FRIENDS BECAUSE J.CO HAS JUST BEEN DELISTED AS THE QUINTESSENTIAL PASALUBONG ITEM. After posting a status on what could be the next pasalubong item after J.Co opened in Cebu City at my FB page, I was surprised to receive good suggestions from some of my FB friends. I have listed them all here arranged accordingly for convenience and to save you the hassle based on the city where you can find them. Banapple is practically everywhere. They have branches among others at Tomas Morato, Katipunan, Market Market, Alabang Town Center, Greenhills and McKinley Hill. You’ve got to bring those pies especially the savory and meaty ones. 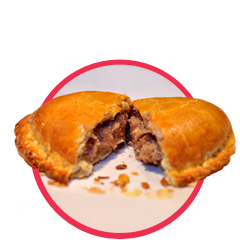 They look like giant empanadas with a hearty filling of chicken, tuna, or mushroom and cheese. 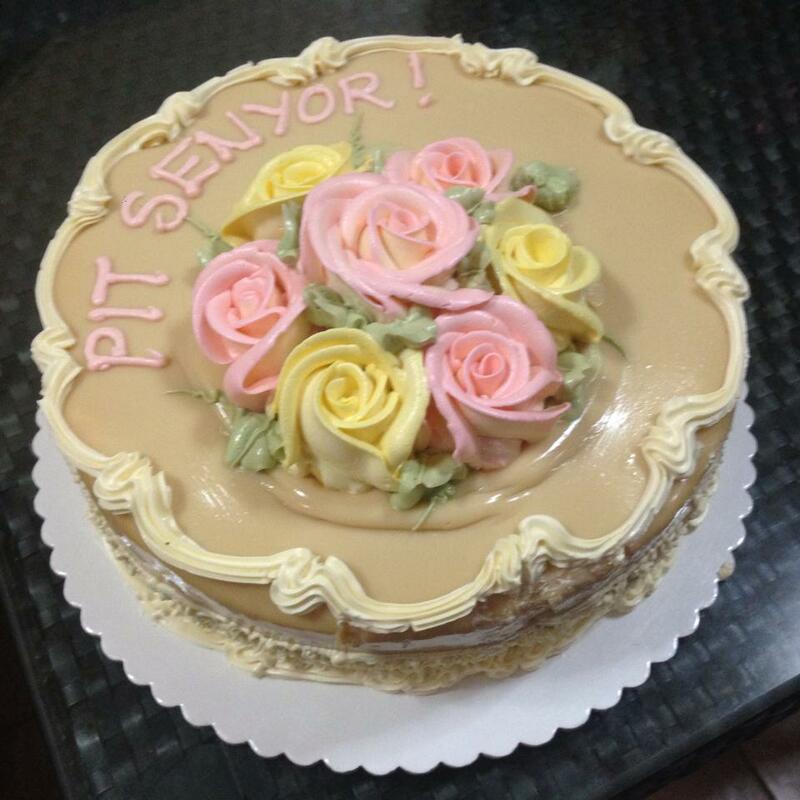 A made-to-order chiffon cake covered with caramel intricately iced around the cake with a touch of classic flare. So girly, your mama will love it. No wonder they have the best caramel cake since they have already perfected the craft. They had been doing it since 1946. Estrel’s is located at 50 Scout Tobias corner Scout Fernandez Streets, Barangay Laging Handa, Quezon City. Their telepone number is 372-2965 or 371-7938. Hizon’s Caramel Cake was my favorite cake while I was staying at UN Avenue. It’s walking distance from Robinson’s Ermita. It is located at 1197 J. Bocobo cor. Arquiza Sts. Ermita, Manila. 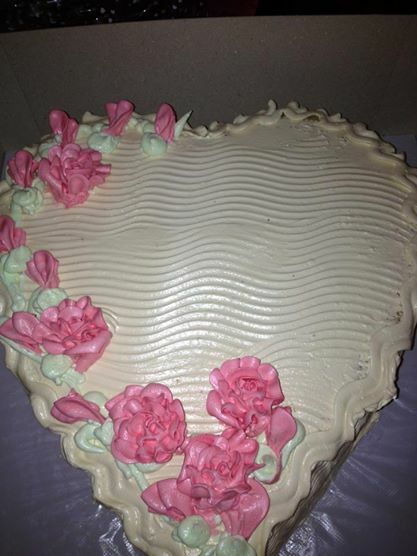 It is the cake of perfect levels in softness, moisture and sweetness. Unlike Estrel’s have quite a good number of cakes that they can cater walk-in customers. Patchi boasts of being the finest chocolate of them all. 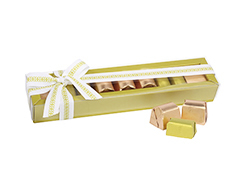 Their botique shop has the most exquisite chocolate designs to complement your celebrations. Of course, superior quality comes with a price especially that it is from Lebanon. Chocolate is worshiped here. Patchi branches ae located at Bonifacio High Street and Greenbelt 5. No this is not the famous Santiago-Poe tandem but the ultimate comfort café which offers light snacks, coffee and desserts. 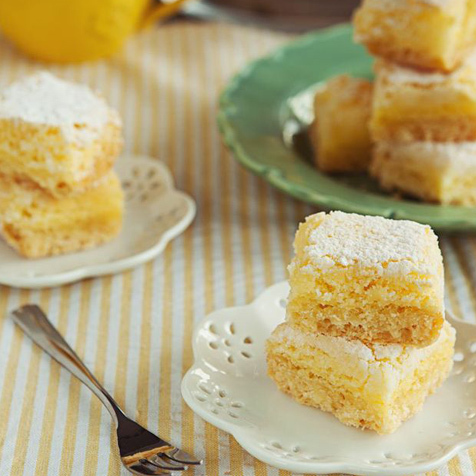 Bringing their signature Lemon Squares and Cheese Rolls to Cebu would be like comfort to home. Mary Grace Café is located at Greenbelt 5 and 3. If you are like me who usually wait for my flight at SM Mall of Asia the tendency is you might run out of options because of the many pasalubong items to choose from. (One time I ended up hoarding 5 jeggins of different colors from Uniqlo.) Well, you can forget about the others because you can’t go wrong with Cinnabon’s cinnamon rolls. That soft and sweet dough topped with cream cheese icing will surely please whoever receives it. Always reheat before serving. Cinnabon also has a branch at NAIA Terminal 3. Always remember, your travel will be judged according to your presents. – Rater-in-Chief.